One of the best things about entertaining outdoors is using the abundance of charm that nature provides to bring ambiance. With the backdrop of crickets in the background and the stars twinkling above – guests can’t help but enjoy the evening. One thing that plays a huge part in the ambiance of any space outdoors is lighting – and when it comes to decks – effective deck lighting. It’s is a perfect way to light up the evening. Today we are sharing a few ways that you can light up your deck and do it with style with outdoor lighting from Lamps Plus. Decks usually have at least a few steps- and those steps can be much more than a way to get back up into the house. Steps are often overlooked from an ambiance standpoint – but they really are a good way to add lighting for charm and also safety – and an LED Eyebrow Light is perfect for that job. 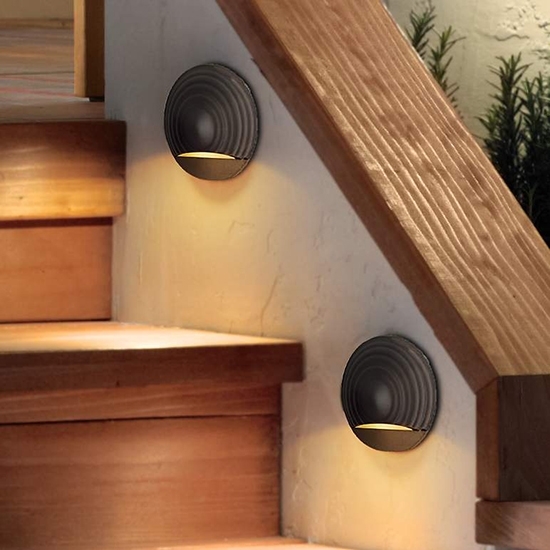 Stair lighting provides charm and safety. When it comes to styles of deck lighting – the sky is the limit – and the places where you can use those lights is up to your imagination. 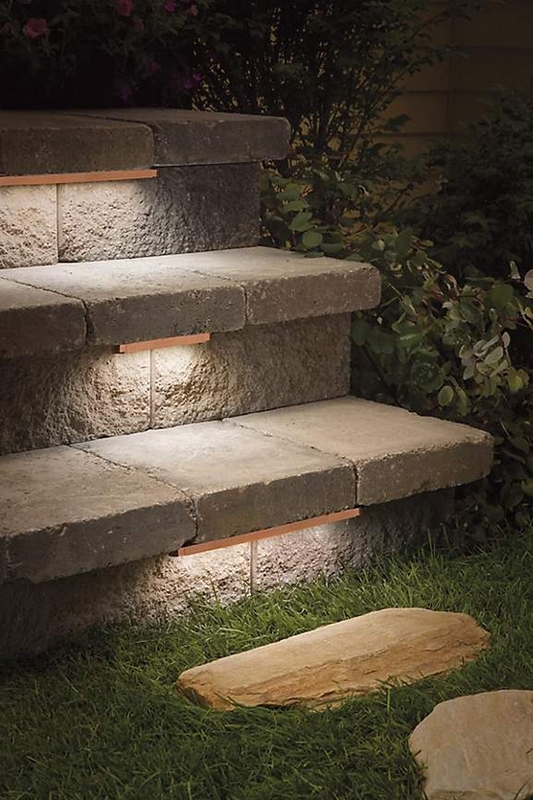 An LED Deck and Step Light is perfect for unobtrusively lighting steps and also for lighting flower bed areas. 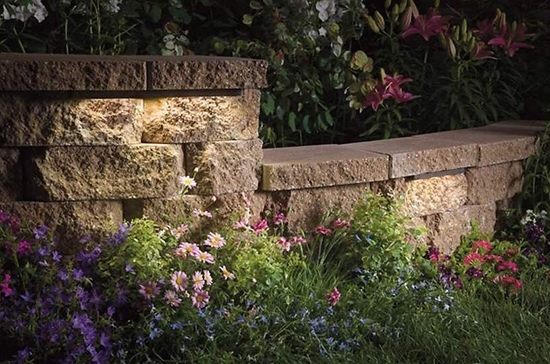 Illuminate a garden with hidden landscape lighting. Another place to consider adding lighting is on the top of the posts on a deck. 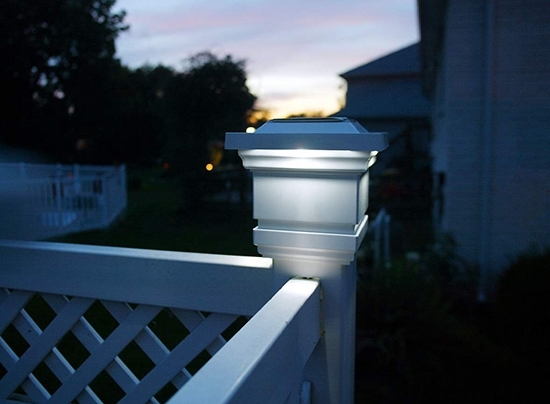 Deck posts are a perfect spot for adding a touch of warmth with a light like this Solar and LED Post Cap Light. Solar lighted caps are charged up by the sun during the day and then are ready to get to work when the sun sets. Plus they come in a variety of styles to match your deck and fit in perfectly with your home’s architecture. 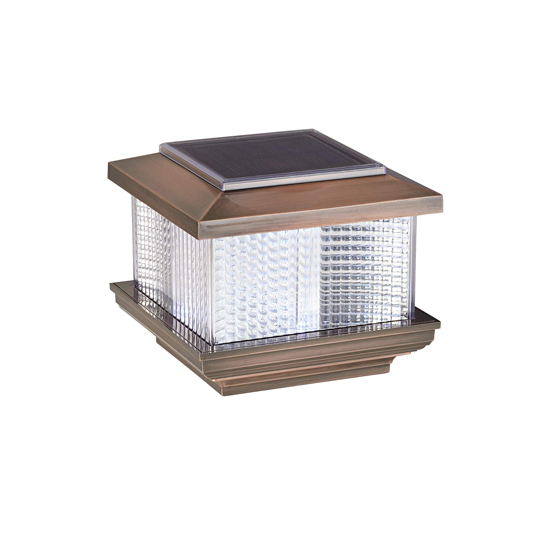 A favorite look is this Copper Plated Solar Powered and LED Fence Cap Light that will be right at home on pretty painted decks or natural stained wood finishes. In our opinion, you can’t have too much deck lighting for ambiance. So light up those steps, those fence posts and even place a few lanterns here and there and get ready to enjoy evenings out under the stars.